Today we will focus on Aerobic exercise or otherwise known as Cardio. I am sharing a brief memory of how my love for running started before I get to the nuts and bolts of why aerobic exercise is so important for our health. I can remember being a kid. My father owned a tree farming business and still does and we lined our back fields with rows upon rows of tree’s. I loved nature and the great outdoors. I especially loved riding my bike to the highest hill and taking my feet off the pedals and coasting all the way down to the bottom. My mom told me after I flew down the hill I would ride around the house anther fifteen times before doing it all over again. It was in grade school that I remember my best friend who was a year older then me asking me to try to go on a run with her. While I chuckled and thought basketball is the only sport for me. I decided to join her. She assured me running to the stop sign and back was easy and that I could do it. I remember in that moment a little seventh grader thinking, sheesh… this girls nuts. Huffing and puffing along I made it to the stop sign and back. I’m pretty sure my best friend ran five miles before I finished my two. I ended up running track that year and have been hooked ever since. I went on to run in college and coach 400 and 800 runners shortly after I graduated college. My best friend and I still run when we can get together and I can’t explain to you how thankful I am that she encouraged me that day. There are special people in our lives that have the ability to encourage us and help you feel empowered. She is defiantly one of those people.She believed in me and in turn it helped me believe in myself. Running has been an outlet for me as I have gone through the grief of loosing my daughter and battled through depression over the last two and a half years. My dad used to tell me growing up to train and surround myself with people who were better. It pushed me and continues to grow me. What a wonderful training slogan for life. It has allowed me to understand that with change comes growth. It’s easy to get stuck in a rut and learning new ways to add variety to your workout help you from becoming stagnant in your workout routine. Aerobic exercise is one of the five ways to add variety to your workout. The information below on aerobic exercise has been taken from an article from Everydayhealth.com . There are many benefits of aerobic exercise. Mental benefits include an increase in confidence, emotional stability, memory and brain function. 19 million Americans experience depression every year and is is believed that aerobic exercise helps improve the symptoms of depression. Health benefits include strengthening your heart and lungs, lowers your cholesterol, reduce your risk of type 2 diabetes, improve your immune function and lower blood pressure. Physical benefits include burning calories, which helps shed excess weight. Aerobic exercise tones the muscles and improves posture. It helps you look and feel better while increasing your stamina. Providing more energy for work and play. You will sleep and handle stress better. My clients say this often: “I just all around feel better”. Now that you see the benefits of adding aerobic activity to your workouts. You might be wondering how much and how often? The most recent guidelines published from the American Heart Association and the American College of sports medicine recommend 30 minutes of moderately intense aerobic exercise five days a week or 20 minutes of high intensity aerobic exercise 3 days a week to maintain good health and reduce your risk of chronic disease. If you are just starting out slowly increase your intensity with the help of a trainer. Maybe start with first deciding what type of aerobic activity you enjoy most. Options are and not limited to: biking, running, hiking, dancing, and swimming. Below is a quick and effective running circuit I do if I am short on time. If you are new to exercise check with your doctor before beginning any new training program. Use the FITT principe to slowly increase in Time, Intensity, Type, and Frequency. You can use this same workout on a bike, swimming, on an elliptical and while walking. Next week we will talk about why adding variety with strength training is such an important component to your workout regimen. I first met Jen at a bible study and we became friends quickly. She grew up in West Branch on a dairy farm and shared a similar love for running like me. Jen is a busy wife and mom of four (Blake 11, Mason 8, Kariyas 6, and Aniela 4). 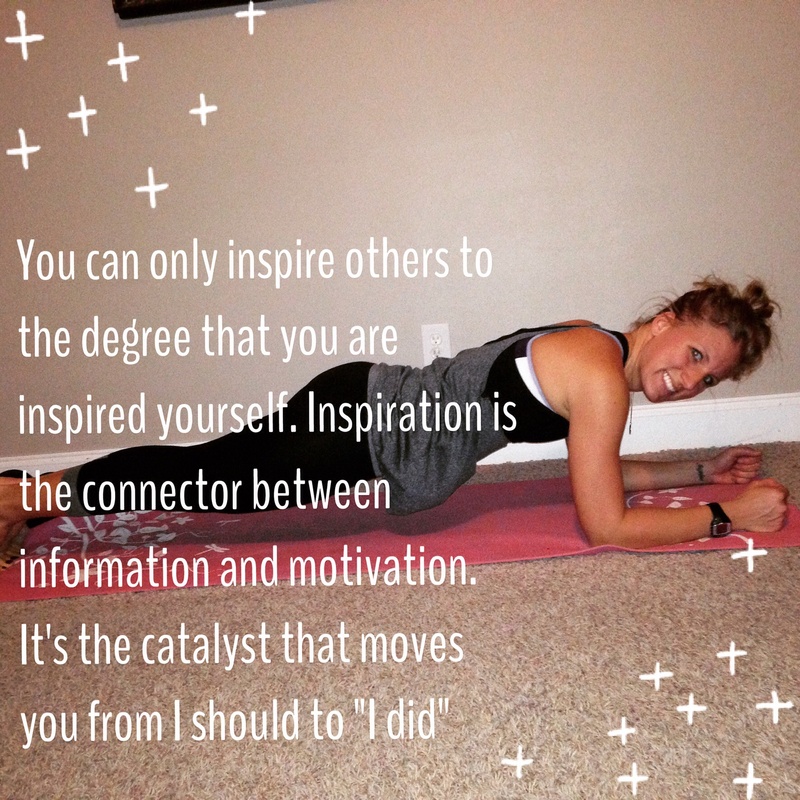 Jen approached me looking or help to get out of a fitness rut that she had become stuck in. As I began to work with Jen we really focused on incorporating strength training along with a three month training plan for an upcoming half-marathon that she was training for. 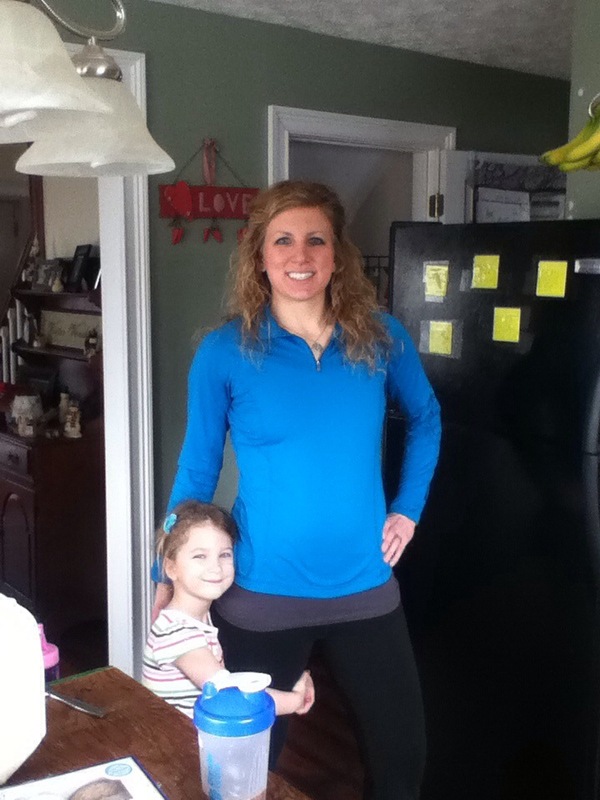 Jen started to lift consistently and loved having the training programs to keep her on track. “ I didn’t have to think about what I was going to do that day, it was already laid out for me. I felt like I was working towards a certain outcome and that was exciting”. As Jen progressed in her training program she started to see the benefit of consistent weight training. I love this action photo of Jen! “Michelle made me realize the importance of lifting weights. My fitness was lots of running and cardio before I started working with her. I’ve never felt better about how I look since I started lifting. I have more control over my weight and my confidence about myself has increased”. Jen learned that as she turned fitness into her daily routine living that she is was a much happier and pleasant person if she got her workout in. It’s her time and she can’t live without it! It recharges her to care for her family. It prepares her to have strong arms for the tasks ahead of her each day. Jen has also learned the importance of healthy portions and has enjoyed content I provide my clients in a private online group. Jen states: “Her posts on the facebook page have been informative about healthy portions. I love that they aren’t long articles but sometimes just what she is doing at home. I love her transparency with her own fitness journey. It makes it real”. Jen enjoyed the check-in’s via text message as they helped her keep going. She loved being encouraged if she felt off track or had a rough day. It helped her learn healthy habits that she has continued over the last two years. I love how Jen took the knowledge she learned from her sessions to grow both in strength and confidence. Jen used the information I provided and has created healthy habits and a solid foundation keeping her feeling healthy and strong for all the adventures, love and memories she makes with her family of five! Way to Live fit for Life, Jen. Thanks, for sharing your story! What should I do for my workout? It’s a question that used to haunt me and circle in my thoughts each morning as I climbed out of bed. It usually ended in a 4-6 mile run and maybe a few crunches. It wasn’t until I became a personal trainer that I began lifting heavier and incorporating a variety of different types of training into my workouts. If you asked me if I would ever attempted power yoga or swinging around a kettle bell I would have told you, your crazy. I felt the biggest burn from pounding the pavement. There really is noting more euphoric than a runners high. However after the birth of my first daughter the weight seemed hard to drop and just running wasn’t cutting it anymore. What should I do for my workout? I was at this question yet again and I slowly started to incorporate lifting. I wasn’t really consistent and did it sporadically but slowly I started to feel a little bit stronger and the weight started to budge on the scale. The more I started to read the more I learned that incorporating variety into your workout helps prevent plateaus and with building strength. When we re-challenge the body and overload it in different ways our body has to work harder, which breaks plateaus. 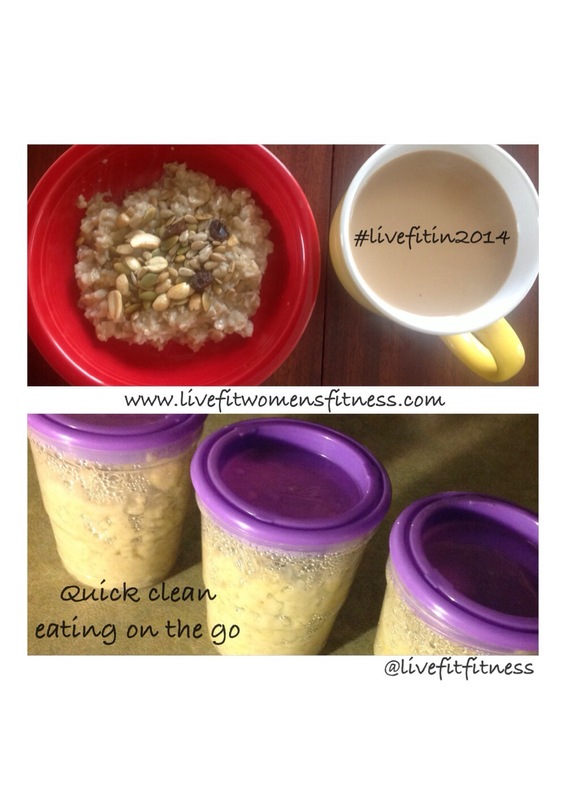 Changing up your routine is important to do every 6-8 weeks. Over the next five weeks I am going to expand on these five ways you can add variety to your workout. With each element you will find a free workout incorporated in its post. The five ways to add variety to your workout are: strength training, core exercises, balance training, stretching, and aerobic exercise. Next week I’ll be talking about the importance of aerobic exercise and will be posting a cardio workout. If you are at a place where you think you reached a plateau,maybe you are unsure or how to add variety, or need the support of a certified trainer to take your workout routine to the next level, please don’t hesitate to contact me with questions. I am kicking off an online boot camp on November 21, 2016 and this might be the perfect opportunity for you to try something new and add variety to your workout. I like to work closely with my clients and only have a few spots left open. I have ran this boot-camp in the past and women have said, “…what they enjoyed most is the sense of community and knowing that other people are doing the same workouts as them. They love the accountability of checking in and not having to worry about what to do for a workout. It’s simply laid out for them”. It’s February and I’m sure you have seen countless buzz words floating around the internet since the first of the year highlighting “new years resolutions.” I feel like everywhere I turn from my inbox to the television that I hear the New Year, New You push. I love the buzz, the energy, the gym being packed and people are aiming to live a more fit and healthy lifestyle. As I work with personal training clients, teach group fitness classes and motivate myself to stick to my own personal workout plan I continually ask myself how can I encourage and motivate people all year long? 1. Believe in yourself. Have confidence that you can do anything you put your mind to. That confidence brings a positive energy that will keep you from negative feelings about your workout that may un-motivate you to stick to the new excitement you first felt when you were beginning to feel good about consistency and striving to live a fit and healthy lifestyle. 2. Love what you do. This is going to look different for every single person. In this day and age there are so many options when it comes to working out. Maybe you just want a personal trainer to do the work for you and prepare your workouts, maybe you like doing dvd’s in the comfort of your home, or holding poses longer in Yoga. Try a little bit of everything(for some people variety is what they like!) and narrow down the one thing that absolutely makes you feel like you want to keep coming back for that endorphin rush. 3. Find the accountability of a partner. That person who meets you at the gym at 5am is pretty special. You aren’t going to want to let your partner down and this is a way to motivate you to get to your workout and have someone to share in the journey right alongside you. You can text and encourage each other every step of the way. 4. Set realistic short-term goals. Think of one extremely big long-term goal. (write it down on a notecard RIGHT THIS SECOND and put it up on your computer screen or a place you will see it often). Now each month of the year set two very realistic short-term goals that will help you move closer to you long term goal. By Making small changes each month of the year you will begin to see improvements and this will give you the confidence to keep that healthy energy and motivation all year long. What motivates you? How can you keep that motivation all year long? This past weekend I was able to speak to a group of moms about the benefits of fitness. I have a passion for spreading awareness about the many benefits of fitness and how they can have such a positive impact on your health. I also have a passion for sharing my core beliefs as a personal trainer: “making fitness a habit of daily living.” I told these ladies: “you have to find what you love and go with it”. Schedule thirty minutes to yourself each day to fit fitness in your daily routine. I am notorious for disappearing to my treadmill during the day even if I only have a quick thirty minutes. I grab my headphones, running shoes, and disconnect with the craziness of life and connect to a world that allows me to process my thoughts, connect with God and reap the benefits of fitness. When I am able to take care of myself, I am able to take better care of my family and those around me. For many women it’s hard to find your niche in the fitness world. I suggest when you are searching for a type of workout you enjoy to try many different forms of working out before you decide what you love the most. Try it a handful of times before you make a decision. When you enjoy something you are going to go right back to it and repeat it again. Making it a daily habit. If you have had a negative experience you are going to hesitate to allow yourself to go back to it again. This is when you may need the help of a personal trainer or friend to get you started in the right direction and encourage you to keep searching until you find what feel most comfortable to you while exercising. Personal trainers help clients understand the benefits of fitness and create training programs that will help them stay consistent to their workouts and goals. Once you figure out what you enjoy while working out, schedule a time to workout each day, and if finding what you enjoy or understanding how to build a workout program is overwhelming to you and you understand how important the benefits of fitness are I would love to help you create a fitness regimen that is tailored to fit the needs of your specific lifestyle. Where does the weekend go seriously? Well I have really learned the hard way in the past. Working out hard and putting in my hours and not seeing results. That is when I realized how much diet and fitness work together. Our diet is just if not equally important as our fitness regimen. You want to be rewarded for your hard work by seeing results. Thats when I realized that my mom was right, It has to start with a healthy breakfast. Not with somedays, everyday. Consistency here is the key. Eating a healthy breakfast is the basis of any good and healthy routine in life. If you have kids, or a crazy work schedule, believe me I get it. It’s hard to plan out your meals and I have fallen victim to starbucks, dunkin donuts, the big breakfast (oh man it’s good), countless times because I failed to plan. I also extend out grace on certain occasions, well because come on Starbucks is a nice treat. Most days I have gotten into the routine of making breakfast that provides lean protien, fiber, and carbs out to my kids. At first it was hard, I mean MOMMY, Mom, I NEED Water, I’m hungggery, I pooped(ya, gotta love my middle child so dramatic in the morning), I just want to throw anything I can at her because I feel a bit scattered brained and then I remember, hey I have to feed my kids healthy breakfast too! 3. Complex carbohydrates- whole grains, veggies, fruits are high in essential vitamins and minerals. They contain fiber and polysaccharides(which require more energy to digest and are released into our blood stream slower). (USDA recommends 55-60% of our total caloric intake be from this form of carbohydrates). While only 10% is coming from simple carbohydrates. These are refined sugars, table sugar, low nutrient density food, honey, corn syrup. Below is a picutre of how, (If I know the week is going to be hectic) I store my oatmeal. I make a big batch on Monday and then I pull it out throughout the week warm it up and add some brown sugar and nuts. The kids love all of this! Whatever hardship, trial, season you may be traveling thru know that God is bigger then the hardships, focus on him and multitude of his love for us. Maybe it’s a work related goal you set for yourself, a circumstance that is giving you anxiety in the upcoming months, a fitness regimen or race you are training for. 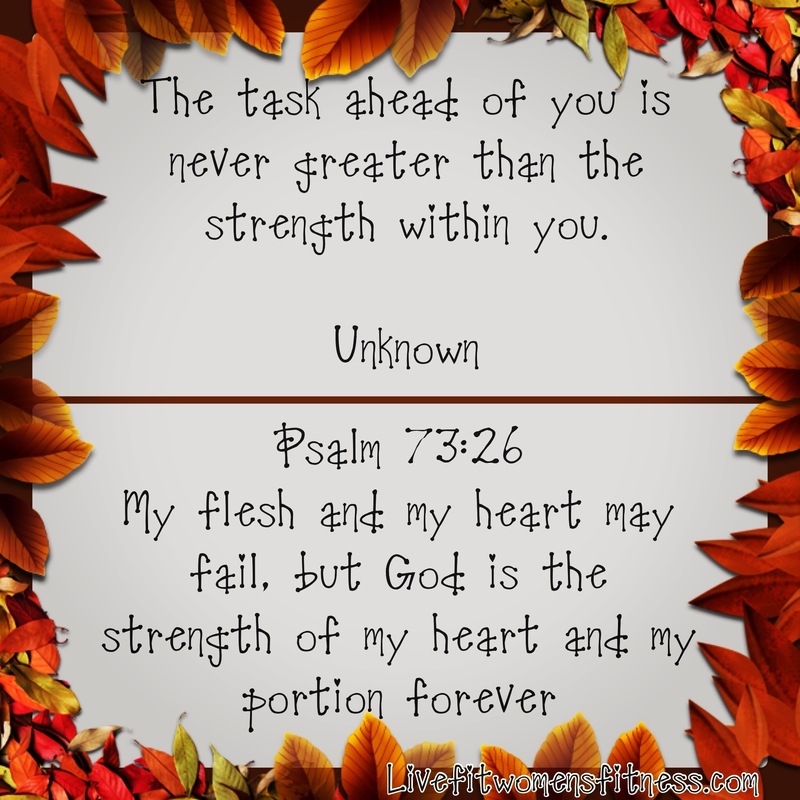 God is our strength and portion. No task that lies ahead of us is to big for him to sustain us for. Look to him for inner strength to lift heavy, run faster, serve more, have the the energy to be the mother, sister, friend, buisness women that HE wants you to be. It may not always turn out the way we see fit but he is our portion and his plans for our lives are bigger and greater then we could imagine!